Whatever Happened To Love Days? R.J. Rushdoony: 00:00 Whatever happened to Love Days? This is R.J. Rushdoony with a report on our threatened freedom. R.J. Rushdoony: 00:07 What are Love Days? They certainly were not hippie love-ins nor anything modern. Love Days disappeared some years ago to be replaced by something which is far from good. Love Days used to go by a number of different names depending on the region or the country. Love Days is the English term. Each language in Europe had its own wherever the practice occurred. R.J. Rushdoony: 00:33 Love Days are a means of settling quarrels and disputes between people’s without going to court. They were once common and village and country life. In some areas, the law required people to observe Love Days, disagreeing or fighting parties were required to come together in a public place, air their grievances publicly, and then settle them, sometimes with the help of a person known as the Odd Woman. A woman who’s work it was to help arbitrate such problems and conflicts to bring together people who are at odds, one with another. R.J. Rushdoony: 01:13 In some countries the community required it. If either party expected anyone to have anything to do with them, they had to settle their differences. On market day, the two quarreling men we’re required to lock arms and walk up and down the entire marketplace chatting as friends all the while. It was the community’s way of saying that all such conflict was deadly to the community and had to be resolved. Instead of aggravating the conflict, the community moved to resolve it and to deny people the luxury of creating dissension. R.J. Rushdoony: 01:57 We need Love Days now. If people quarrel, instead of others working to bring peace, they take sides and broaden and the quarrel. They get on the telephone to gossip about the trouble and to fan the flames of dissension. All too many such disagreements wind up in the quarrel and we have become an extremely litigious speakable. R.J. Rushdoony: 02:20 What we are saying, by all of this, is that we do not believe any longer in a free solution only in a corrosive one. When we bring in the state as a referee, we confess our inability or unwillingness to resolve the matter in freedom. The situation is equally bad if we do not go to court, we then refer a permanent quarreled to peaceful relations. R.J. Rushdoony: 02:49 Some forms of the Love Days had a requirement by law that people resolve their problems. Many did not. It was the community which required it, not the state, the moral force of the community. R.J. Rushdoony: 03:04 They believed in the words of Saint Paul, “Be of one mind and live in peace, and the God of love and peace shall be with you.” The next time when you hear about a conflict or quarrel in the community, remember this, you can by your retelling of the story or your relish in gossip make a Trouble Day, or a War Day, out of it. R.J. Rushdoony: 03:30 However, if you refuse to fuel the conflict and you call instead for a peaceful and godly solution, you can help restore Love Days and also to restore the work of freedom, the human relationship. 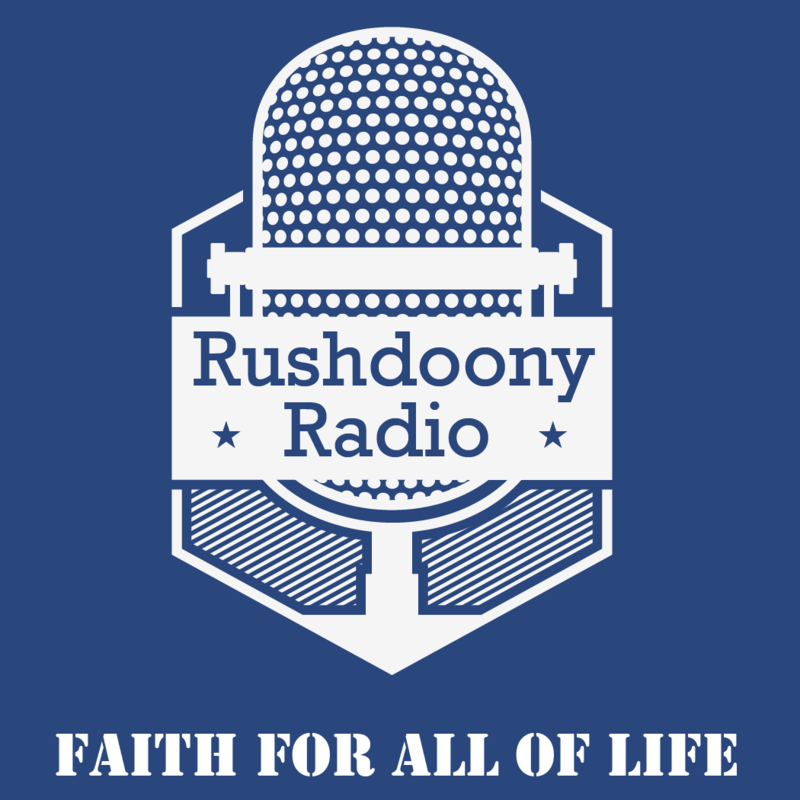 R.J. Rushdoony: 03:45 This is R.J. Rushdoony with a report on our threatened freedoms.